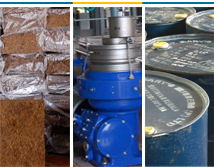 SMR is the other name given for Trust in the field of “Rubber “. The quality of the products which we fabricate is world-class with unmatched quality. Our motto is we value for ones money. The final product which is produced by us is unique and unmatched with any other products of its similar trends. We have been delivering products which are safe and eco-friendly in nature thus enhancing the trust in the souls of our esteemed customers.SMR does not believe in marketing and catering attention of one with eye catching advertisements instead believes in delivering quality final products earning the trust and spreading fame through our privileged customers. SMR does not follow the traces left by its predecessors instead sets a new trend with its superior way in functioning making us an icon for the rest to follow. We are keen in producing our products which can withstand the changes of this dynamic world, hence we choose the raw materials essential for the production which are of the most subtle and impressive quality. SMR believes in achieving the smiles in the faces of their customers and has been successfully accomplishing this task so far and will continue to deliver the same in the coming years. The gloves which we produce are so soft, subtle and preempt a soothing feeling in the one wearing it. Since we take utmost pain in selecting the best quality raw materials for the production of our products, we guarantee the comfort equivalent to the effect given by feathers smoothening our minds but without compromising on its durability factor allowing it to withstand the wear and tear of the nature.